Mohammed Abdulazeez killed 4 Marines and 1 sailor on July 16, 2015. He was a Muslim who attended the Islamic Society of Greater Chattanooga, which is a Hamas/Muslim Brotherhood center. This was an act of jihad doing what the Islamic Society of Greater Chattanooga teaches people to do. It is a jihadi center as a matter of fact. 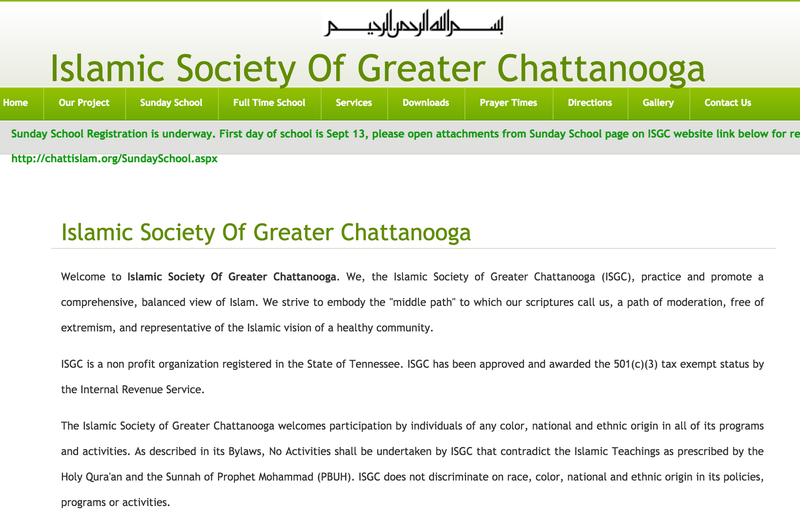 See the five minute video produced by UTT detailing the evidence of the Hamas/Muslim Brotherhood Islamic Societies in the U.S. supporting jihad, specifically, the Islamic Society of Greater Chattanooga. For more information and for the actual documents used in this video, go to the UTT website’s RESEARCH & RESOURCES page under “Investigations” HERE. Waiting the day that ADAMS slips up so we can expose them to all the local dhimmis of the GOP and Dems.